Joybean soybean drink is now available at 7-Eleven Malaysia and in other participating outlets including online stores. 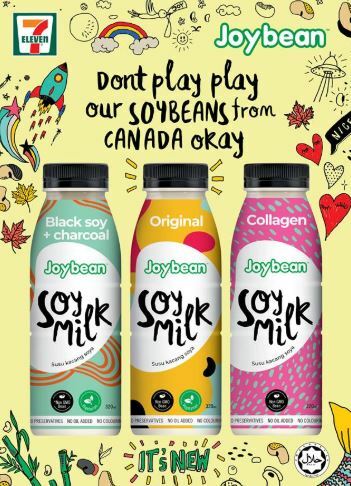 Joybean (320ml) comes in three variants – Original, Black Soy + Charcoal and Collagen and is made with Canadian non-GMO soy beans. The soybean milk drinks are free from preservatives, colouring and no added oil. Joybean is a product from Berjaya Food Trading Sdn Bhd. The soybean drink category is increasingly moving towards value-added ingredients such as collagen and black soy + charcoal as well as flavours including matcha as consumers want something different. 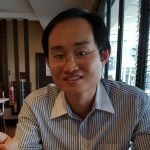 Soybean milk can also stress its protein content to position plant-based alternative as a good source of protein.